I have not yet seen Josh Trank’s Fantastic Four movie. Judging by the Friday box office numbers, that by no means puts me in an exclusive club. But I think I should be up-front about that, as much of what I’m about to write is a reaction to it. I know I’ll see it eventually, but after having read a number of spoiler-filled reviews, unable to look away in the same way that a passerby is unable to look away from a traffic accident, I really don’t have any inclination to spend money on it, lest anybody at 20th Century Fox erroneously think I’ve condoned their efforts. 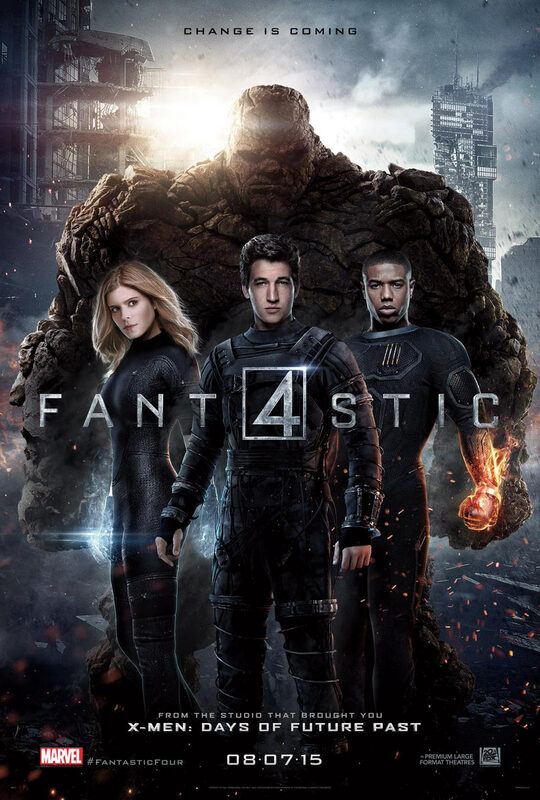 I will see it, not to “hate watch” it, as I’ve heard many people use the phrase, but so that I can offer an informed opinion of the movie… at this point, however, watching the 2015 Fantastic Four is kind of like getting a prostate exam. It’s something I know I’ll have to do sooner or later, but that doesn’t mean I have to look forward to it. Also, like a prostate exam, I intend to wait for it to come to Netflix or HBO. Sadly, when the final weekend tally comes in on Monday morning you know that somebody is going to point at it and say this is proof that the fans don’t want to see a Fantastic Four movie. This is nonsense, of course. You can’t possibly know that until they actually make a movie that resembles the Fantastic Four. 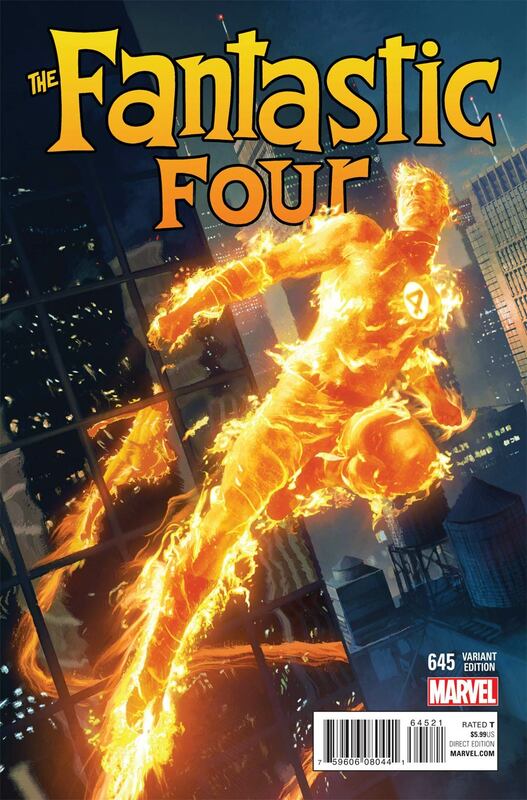 When Marvel cancelled the comic earlier this year (largely to spite Fox), the one thing I kept hearing people say was “Nobody even reads Fantastic Four anymore. Who cares?” I was the one in the back of the room, hand held up, hoping to be called on. I love this property. I love these characters. They are, in fact, one of my favorite comics of all time, second only to Superman. And I see how remarkably, beautifully simple it is to grasp those characters… but Hollywood keeps getting it wrong. 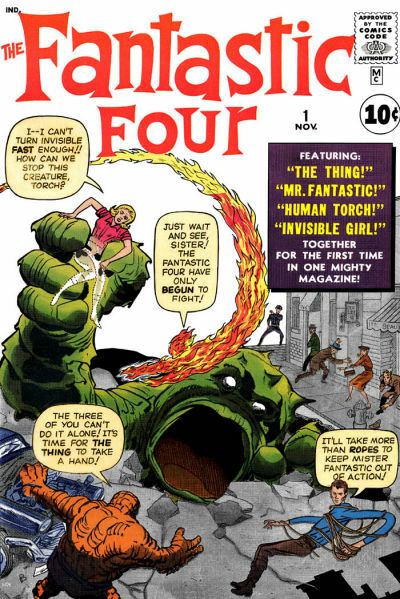 So now, friends, I’m going to explain my vision of the Fantastic Four. This is how I see these characters, why I love them, and what makes them special even beyond the fact that they are in fact Marvel’s First Family. These are the characters I want to see on screen someday, whether it’s yet another Fox reboot or a grand homecoming to the Marvel Cinematic Universe. These are the characters I hope will soon reinhabit the world of Marvel Comics (and I happen to know the job of writing them is currently open, so if anyone from Marvel is interested, give me a buzz). But most importantly, these are the characters that I want everyone else to finally get the chance to see. First and foremost, let’s think about the team itself. What is the Fantastic Four? The FF are not soldiers. Again, I haven’t seen the new movie, but I’ve read a lot about it. It’s not really fair of me to base my analysis on spoilers I’ve read on the internet, I admit that, and if I feel any differently when I finally see the movie I will gratefully write an update, but the very notion of them working on military applications of their technology is the first thing that makes me believe the tone of the movie is entirely wrong. True, many of the great superhero characters combine the tropes of that genre with those of another archetype: Batman is the superhero/detective, Thor the superhero/warrior, Superman the superhero/paladin. And there’s room for a great superhero/soldier out there. His name is Captain America. 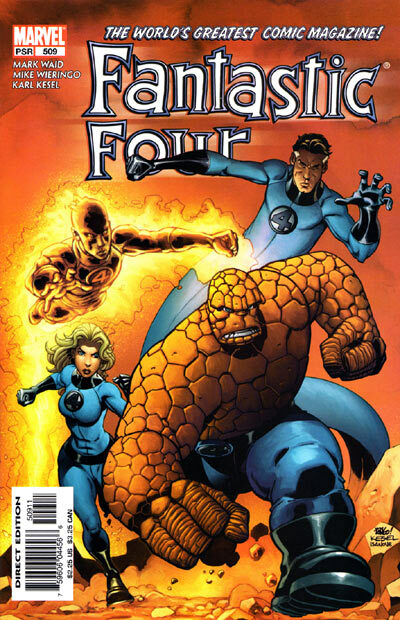 The Fantastic Four, however, are the superhero/explorers. It’s the classic trope of the Big Brain and his team – Doc Savage, Buckaroo Banzai, even Sherlock Holmes and the Baker Street Irregulars all come from this archetype. You begin with a person dedicated to knowledge and surround him with people who are willing to devote their lives to helping him achieve that goal. And in that way, Mr. Fantastic is the reason the team exists. Reed’s not just an explorer, but he and his team are scientific explorers. Their purpose, their drive is based on their desire to push back the boundaries of knowledge and eradicate the unknown. 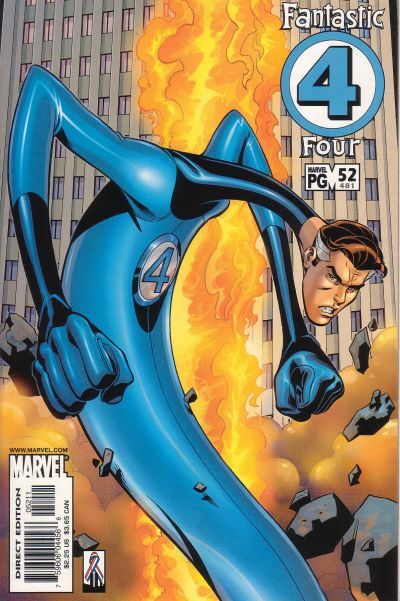 Reed Richards is a man who is utterly incapable of leaving a mystery unsolved, and will pursue the answers he needs at any cost. One vital part of their origin, one that I think a lot of people forget, is that in Fantastic Four #1 Reed decides to steal the spaceship that leads to the FF gaining their powers. The man simply couldn’t live with the fact that outer space was right freaking there and he hadn’t seen it yet. Some writers like to toy with the idea that the powers the FF developed in that cosmic ray storm were subconsciously based on their personalities. There’s no reason to spell that out in a movie, but it would be remarkably easy to present the evidence. Why did Reed gain the ability to stretch? Because he constantly seeks to expand and adapt. Because he’s always reaching in every direction at once, trying to clutch at those things that are beyond the grasp of ordinary men. He’s the smartest man in the world, but he may well forget his own wife’s birthday because he can’t stop thinking of too many things at once. Speaking of his wife, let’s talk about Susan Storm Richards, the Invisible Woman. Sue’s place here is simple: she’s the team mom. Some people might think that term is derogatory. These people don’t know a damn thing about Sue Richards (or moms, for that matter). She’s not some Leave it to Beaver housewife, existing only to put dinner on the table, although admittedly, in the earlier years she was written as little more than that. Sue, to borrow a metaphor from Chris Claremont’s phenomenal Fantastic Four Vs. the X-Men miniseries, is like a lioness, ready to protect her mate and her cubs, and unrelentingly ferocious in doing so. It’s true, she can be overshadowed at times, easily overlooked when standing next to her brilliant husband – there again is the personality-based power, the overlooked woman became literally invisible. (If there’s anything about Josh Trank’s version of the team I don’t mind it’s that Sue is a scientist in her own right, making her more of an equal partner with Reed.) But more importantly, she’s fiercely loyal and willing to risk anything to protect her husband, her brother, her children, her best friend. And what’s the secondary power developed by this woman whose prime motivation is to protect someone? A force field. A force field which can be used as a remarkable defense or as a devastating offense if you piss her off enough. Ironically, the fact that he’s so easy to grasp has also made him one of the more problematic characters for writers over the years. What kind of character arc do you give a reckless, irresponsible character? You force him to grow up. And it’s been done wonderfully in the comics. Sadly, it’s been done several times. Almost every writer who has any long run on the Fantastic Four comic book has done a story arc about Johnny going through some sort of trials and coming out of it a more mature, levelheaded hero. But then the next writer eventually takes over the book and inevitably pretends none of that characterization ever happened, resetting him to the immature hothead status so he can learn to grow up all over again. Future writers need to find a different arc for Johnny. If it were me, for instance, rather than have Johnny regress to a man-child again, I’d start the story with Johnny as mature and dedicated as the previous writer left him, but then bring up some consequence of his reckless past for him to deal with. Not an illegitimate child, that’s far too clichéd, but something else – maybe a villain who wants revenge for some faux pas the young Johnny committed, something like that. And that leaves my favorite character, Stan and Jack’s greatest creation, the ever-lovin’ blue-eyed idol of millions: Benjamin J. Grimm. The Thing. From most accounts, Ben is the hero who suffers the most in the new movie, taking orders and killing for the military. I both respect and admire the members of the armed forces, and it’s true that in the comics both Ben and Reed were originally portrayed as World War II veterans. But it was 1961, it would have been strange for an able-bodied man of his age to not have been a vet. Let’s look at who Ben Grimm is, and it’s a hell of a lot more than a pile of orange stone that can be pointed and fired like a gun. Ben isn’t a thrillseeker or a scientist, and he certainly never had the drive to explore that Reed did. He was on that flight because his friend asked him to be. His best friend. A man who was like a brother to him – Ben risked his life not for knowledge or excitement, but out of devotion. And look how he was repaid. The other three all gained powers that transformed them, but their transformations were reversible. Ben’s was not. This brave, loyal man was suddenly trapped in a body of stone, unable to touch or feel, forever set off from mankind. Ben is only human – he was angry. He blamed Reed for his misfortune, and often still blames Reed for what happened to him. At times he even hated the man. But he’s always returned. The world would and has spit on Ben Grimm, but he’s always fought to save it. He could march from one end of Yancy Street to another being pelted with rotten tomatoes and broken cinder blocks, and he’ll still stand up to defend his home. And therein lies Ben’s true tragedy. He blames Reed for his condition, but if you accept the “subconscious power” theory, it’s not Reed’s fault at all. Look at the man I described before. Can you imagine the fortitude, the courage, the determination a man like that must have? You don’t develop that overnight. You’re born with it. It’s his own fault that he became the Thing. 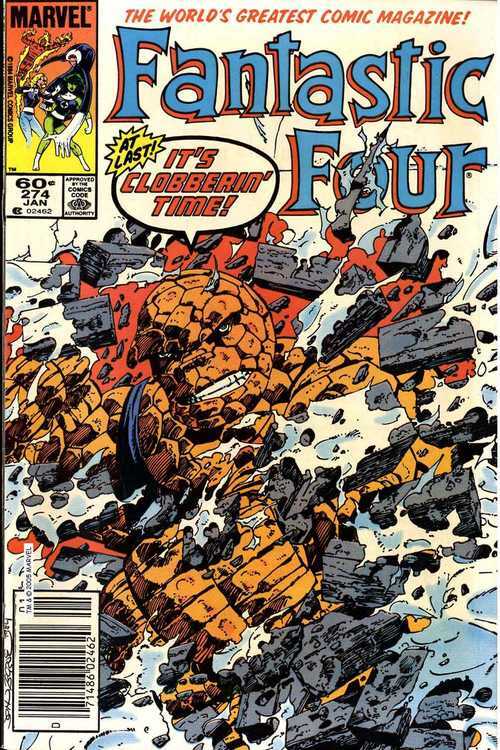 Ben Grimm, even before the space flight, was a man with the emotional strength of a rock. That’s who Ben Grimm is. He’s a good, decent man who will overcome every demon and conquer every doubt in the name of what’s his: his family, his street, his city, his planet. No matter how beaten and broken he is, no matter how much he hates what he has become, he will always use that burden and rage for the greater good. He is the finest, most unselfish soul you can imagine, trapped in the body of a monster. That’s freakin’ Shakespearean there, people. But we’re not done yet. We can’t talk about the Fantastic Four without discussing the fifth character that constantly gets screwed up in the media. 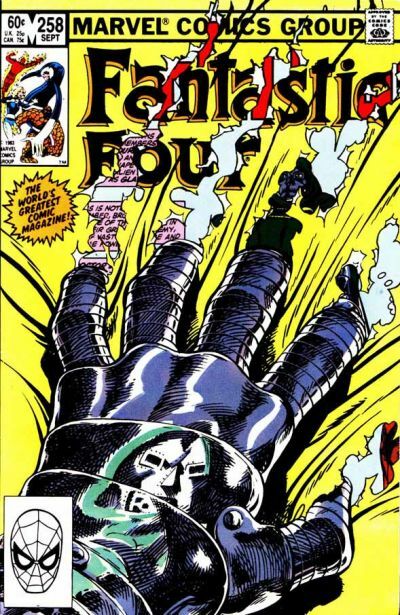 We have to talk about their greatest adversary: Victor Von Doom. Doom is, and I say this completely without hyperbole, the greatest villain in comics. Cold, ruthless, brilliant, and utterly convinced in the righteousness of his own cause. In his opinion, his attempts to conquer the world are completely justified because, in his mind, he is the most qualified person to rule it. Who better to rule the planet, after all, than the smartest man on it? That’s not true, of course – he’s not the smartest. Reed Richards is. And thus we see the core of his hatred of the FF. Reed is smarter than Doom, everyone knows it, even Doom knows it, but he can never be allowed to admit it to himself. To save his pride he has convinced himself that Reed has cheated somehow, that he’s jealous of Doom’s superior intellect, that he has sought to sabotage him from the very beginning. Like all great villains, Doom has a genuinely relatable motivation. He doesn’t simply want to rule, he also wants to conquer death. More specifically, he wants to save his mother’s soul from the clutches of Mephisto, the Marvel Universe equivalent of the Devil himself. His mother is burning in Hell, he wants to save her – how could anybody possibly have issue with that motivation?In fact, even Reed wouldn’t argue with that motivation. He would even be willing to help Doom save his mother, if only Doom would stop trying to kill his family and ask for help. That will never happen, of course, because back when they were both in school together, Reed tried to point out to young Victor that his experiment was flawed and would backfire. Unable to accept that the accursed Richards could catch him in a mistake, he went ahead anyway and destroyed his face, a consequence of his own action that he has always chalked up to Reed sabotaging his experiment. Both of Fox’s attempts at a Fantastic Four franchise went utterly wrong in their creation of Doom. They tried to make him part of the “family,” someone who gained power in the same incident that gave that power to Reed Richards and his team. It’s completely unnecessary, but movies often try to link the villain to the hero’s origin – Tim Burton’s Batman, Sam Raimi’s Spider-Man… Part of it is their very insistence on making the first movie an origin story. With so much of the film already devoted to creating the heroes, it’s more economical to link the villain to their origin than give him his own. It doesn’t work, though. Even in those aforementioned movies – both of which were legitimately entertaining – the link in the origins feels like a misstep. With Doom it goes from a misstep to an absolute calamity. Giving Dr. Doom super powers takes away from the most chillingly terrible thing about him: the fact that he’s a self-made man who has chosen to make himself into a monster. His weapons, his armor, even his mastery of sorcery all stem from his dizzying intellect. Perhaps that’s why Hollywood keeps screwing up Doom, because his true inciting incident (saving his mother from Mephisto) stems from an acceptance of magic and spiritualism that the movies usually try to keep at arm’s length. It’s rare that a movie universe can accept both super-science and magic – even the Marvel Cinematic Universe has dressed up the gods of Asgard as highly-advanced aliens who were merely worshipped by primitive humans as gods. But with a Doctor Strange movie on the horizon, perhaps that reluctance to merge the two will finally start to crumble. Even if it doesn’t, that doesn’t mean that the only way to make Doom work is to link him to the origin of the Fantastic Four. 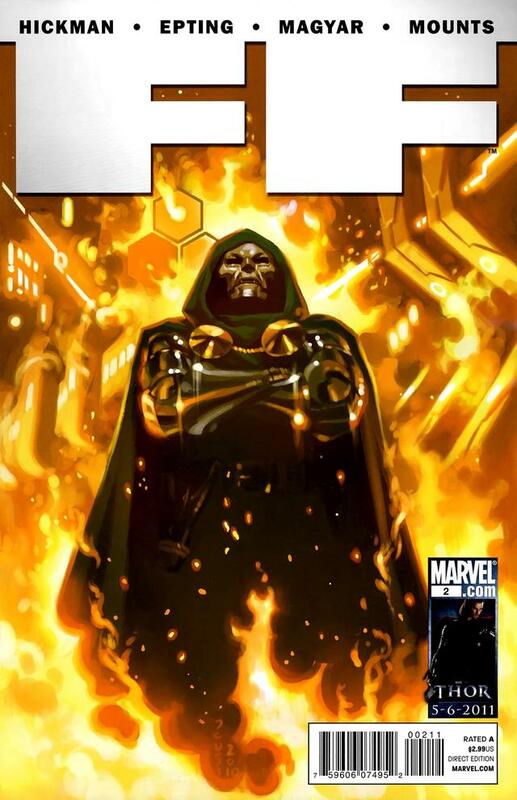 You want a Dr. Doom without the magic and sorcery, but that still maintains the emotional beats of his original origin? Strap in, here it is: Instead of trying to save his mother’s soul, in this version he’s trying to save his mother’s life. From a disease – let’s say cancer, for the sake of discussion. Cynthia Von Doom in this universe has cancer, and her son is seeking a cure. Reed finds a flaw in that experiment, Victor refuses to listen, history repeats itself. Then, as he recovers from his own accident and before he can seek an alternative cure, his mother dies. He blames Reed, the circle is complete, and we have a Doctor Doom with no magic. The thing about great superheroes is that most of them don’t happen overnight. If you go back and read Fantastic Four #1, you’ll only see the bare skeleton of the characters I’ve described here. But over the years, as Stan Lee and Jack Kirby developed them, they grew, became fleshed out, became people. And other writers added to the mythos – John Byrne, Tom DeFalco, Mark Waid, Jonathan Hickman and many others helped sculpt these characters into true icons. There’s so much to them, so much depth and nuance to mine, that it’s a damn tragedy that the movie studios keep screwing it up. 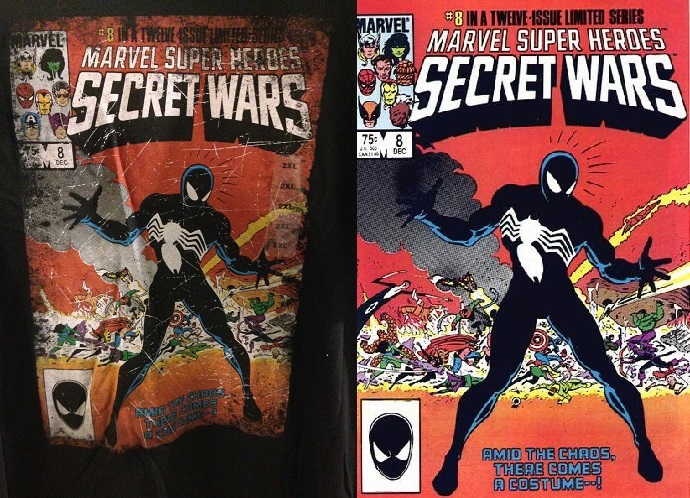 In a perfect world, the new movie would fail miserably and Fox would enter some sort of agreement to give creative control back to Marvel Studios, either by ceding them the rights entirely or by entering into some sort of shared agreement like they made with Sony over Spider-Man. 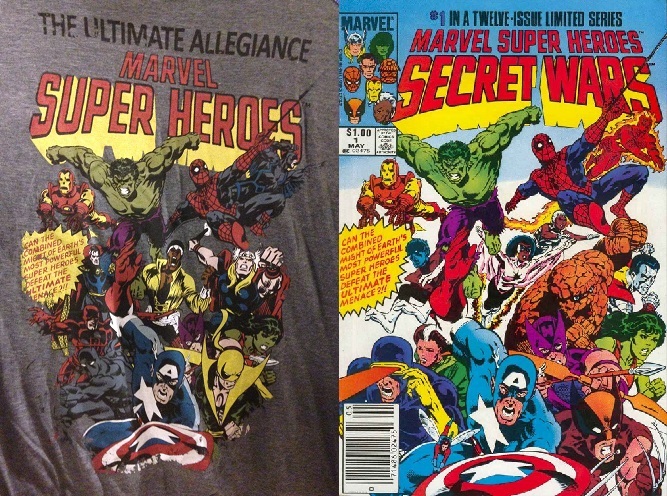 At the very least, you can trust Marvel Studios to give the characters to people who understand them. But it hasn’t happened yet. It hasn’t happened yet.